According to a report from The Wall Street Journal, Warner Bros. has quietly adopted Marvel's model of releasing a single film for each character, and then using those movies and their sequels to build up to a multicharacter film. And there's also talk that depending on the direction Supeman Returns director Bryan Singer takes the reboot would decide his fate with the franchise. Fans have been clamoring all over the web—and on this blog—for a complete reboot. And within the halls of Warner Bros. the same debate rages on. They too believe that the last movie didn't break the mold and wound up in some kind of middle limbo. Today I was told that it is a priority at the studio to find the right direction and if Bryan Singer is willing to do that, fine, but if he gets in the way, he may not stay on the project. There are no writers working on a Superman script now. The studio wants to figure it out. "It might be better to start from scratch," one exec admitted. 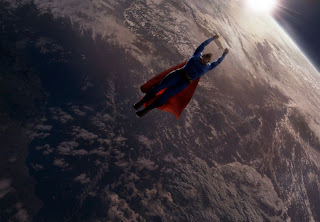 "Superman' didn't quite work as a film in the way that we wanted it to," Robinov said of Singer's movie, which made just $215 million domestically. "It didn't position the character the way he needed to be positioned," he continued. "Had 'Superman' worked in 2006, we would have had a movie for Christmas of this year or 2009, but now the plan is just to reintroduce Superman. We're going to try to go dark to the extent that the character allows it." A movie referred to internally as "Justice League of America," originally said to debut as soon as summer 2009, was planned as one of the studio’s major releases. With that film, starring a superhero team, Warner hoped to spark interest in DC characters like Green Lantern who haven’t yet attained the level of popularity of Batman. But script problems, among other things, have delayed the movie. The studio is set to announce its plans for future DC films in the next month. For now, though, it is focused on releasing four comic book films in the next three years, including a third Batman film, a new film reintroducing Superman, and two movies focusing on other DC Comics characters. Movies featuring Green Lantern, Flash, Green Arrow, Jonah Hex, Shazam and Wonder Woman are all in active development.